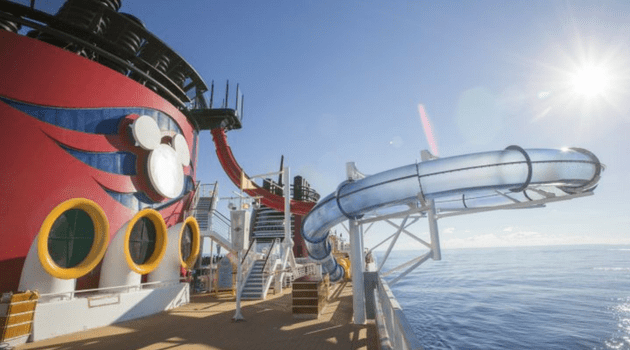 Which Disney Cruise Ships are the Worst and Best? Our family loves to cruise! One of our favorite cruise lines is Disney Cruise Line. We have been on over 20 Disney Cruises, so we do cruise on Disney a lot. We are always asked, “which is our favorite Disney Cruise ship?” Today, we are going to rank the Disney Cruise ships from the worst to the best. We only focus our ranking on the ship amenities. We hope this helps you plan your next Disney Cruise vacation. The Disney Fantasy is one of the newest Disney Cruise ships. It is huge with over 4,000 guests! It is an amazing ship, but can often feel a little too big. There is still lots to love about the Disney Fantasy. 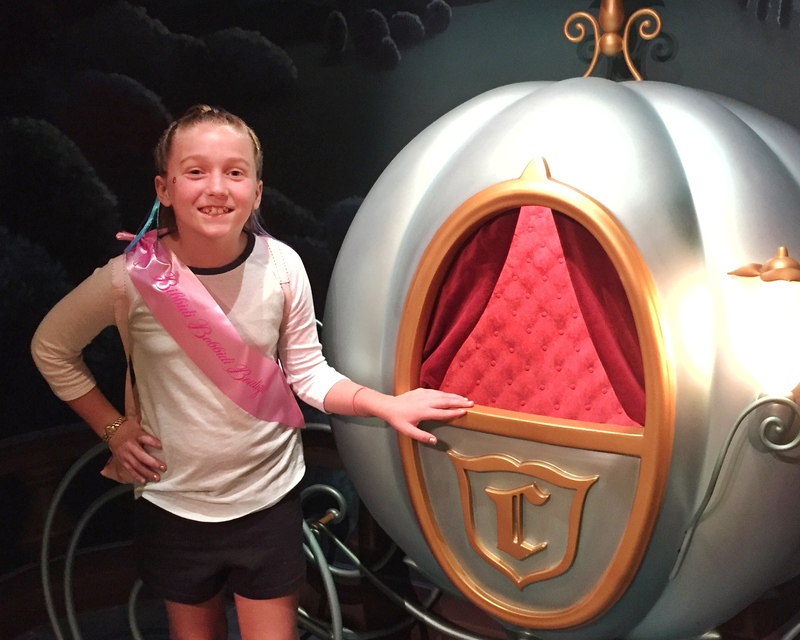 Here are some of our favorites on board the Disney Fantasy. The Aqua Duck water roller coaster is amazing! The entire family just loves this water roller coaster. It is clear, so you can peek over the edge of the ship or down into the pool area. This water slide is even more fun during the Pirate Night festivities. The Aqua Duck is on the Disney Fantasy and the Disney Dream ships. The are a lot of characters and shows in the atrium area. The Disney Fantasy is nice, because it is a much larger atrium. It is not quite as crowded during events and character meet and greets. The kids love the Midship Detective Agency. You basically use art work to solve crimes. This “who did it” mystery will take you across the ship and on different decks. The art comes to life, as you try to solve the mystery. All of the Disney Cruise Ships have the Bibbidi Bobbidi Boutique. During the days, you can turn into a Prince or Princess. 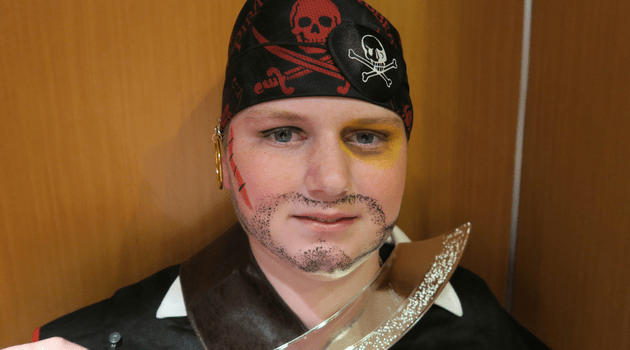 On Pirate Night, you can turn into a Pirate or even a mermaid. The kids love Edge (for tweens) and Vibe (for teens.) The Vibe even has their own sundeck and pool. This is the ultimate areas for tweens and teens. There is even special Open House experiences, so the whole family can check out these fun areas. The Disney Fantasy does have a lot of amazing amenities. However, the other Disney Cruise ships have been through magical enhancements that make them a little more exciting. 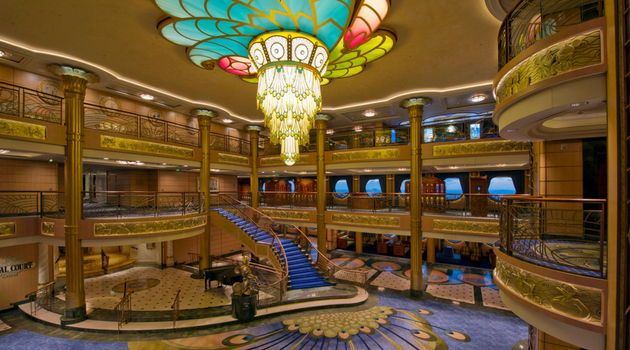 With these in mind, we rank the Disney Fantasy in the #4 spot. Number three on our list of best Disney Cruise Ships is the Disney Magic. This older cruise ship accommodates around 2,400 guests. Tim and I love that it is a smaller ships. It makes it easier to get around and not as crowded. Here are some other reasons why we love the Disney Magic. 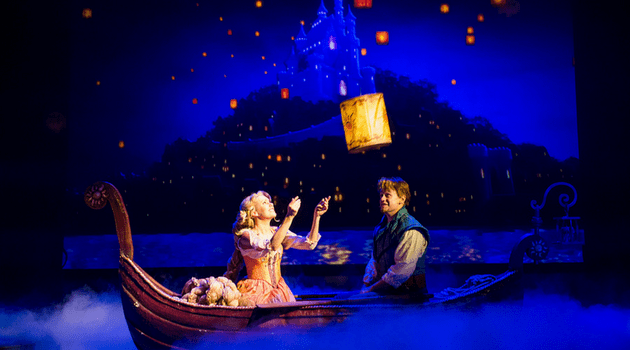 The Disney Magic has a newer Broadway style show called Tangled the Musical. This show is incredible for Tangled Fans, young and old. After the show, the Tangled fun continues with the Snuggly Duckling bar with games, music, food, and fun from some funny characters. Then it continues with a special themed dinner. It is a lot of fun! The Disney Magic is the only Disney Cruise ship with the Aqua Dunk. Get ready for a big thrill! You stand with your arms and legs crossed, while the floor comes out from under you. Then you are whisked away in a clear waterslide zooming around the ship. This is one of Tim’s favorite rides on the Disney Cruise ships. Our 2nd favorite Disney Cruise ship is the Disney Wonder. The Disney Wonder recently went through a magical enhancement and is amazing. There is so much to love on this ship! During the dry dock, the Disney Wonder got a new addition in the Oceaneer Club (Children Programming.) They now have a section called Frozen Adventures. This fun area is themed after Frozen and even includes a few friends. 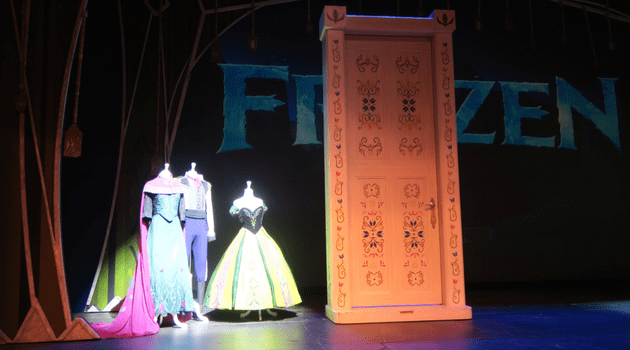 To continue the Frozen theming, the Disney Wonder has a new show called Frozen, A Musical Spectacular. This show truly is spectacular. One of my favorite parts of the show is when it snows in the theater…yes, actual show in the islands! With these newer additions and the smaller size of the Disney Wonder, we rank this ship as our 2nd favorite among the Disney Cruise fleet. Do you like Wreck it Ralph? You will love this sweet shop. You can enjoy sweet treats, candy, ice cream, and gelato. 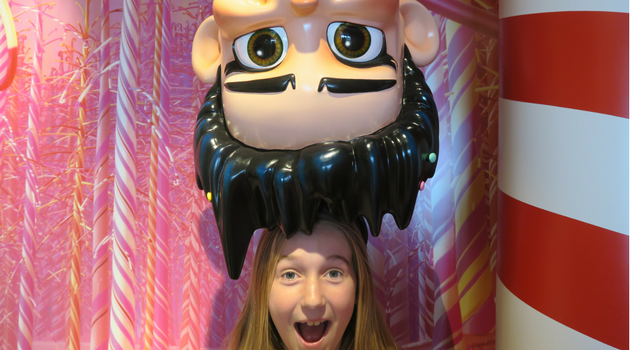 This is such a fun addition to the Disney Dream. There is a small fee for these items, so keep that in mind during your cruise. The kids love the Millennium Falcon in the Oceaneer’s Club, but Tim and I do, too. Throughout the Disney Cruise vacation, they offer Open Houses. This is the opportunity for the whole family to explore the Oceaneer Lab and Club. 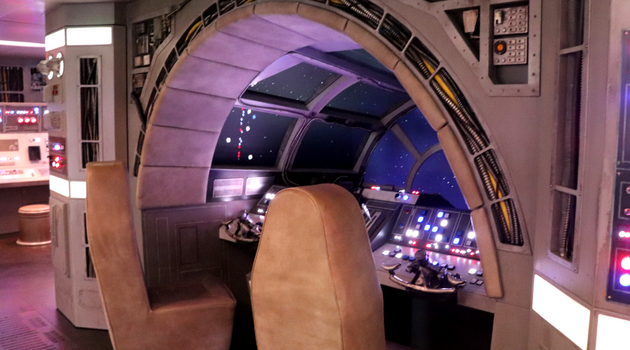 We all love sitting in Han Solo’s seat and driving the Millennium Falcon! Disney recently hosted the opening of the Beauty and the Beast Show. This show is simply amazing! The technology and set design alone is just spectacular. I am a huge fan of the original Beauty and the Beast movie. I am glad this new show is just as amazing! Our entire family agrees that the Disney Dream is the #1 ship in the Disney Cruise Line fleet. There are more ships to come in 2021. Who is excited about more Disney Cruise ships? We hope this helps you plan your Disney Cruise vacation. Do you have a favorite Disney Cruise ship? 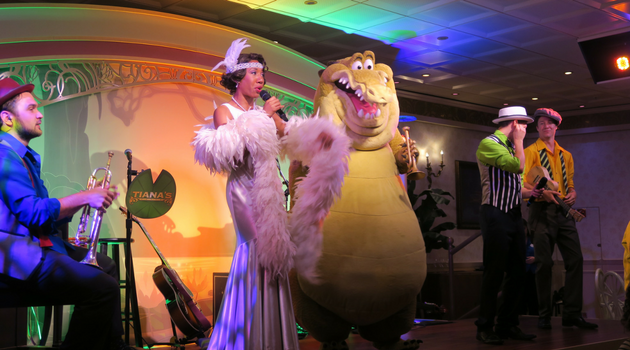 Here are some other Disney Cruise posts you may enjoy. 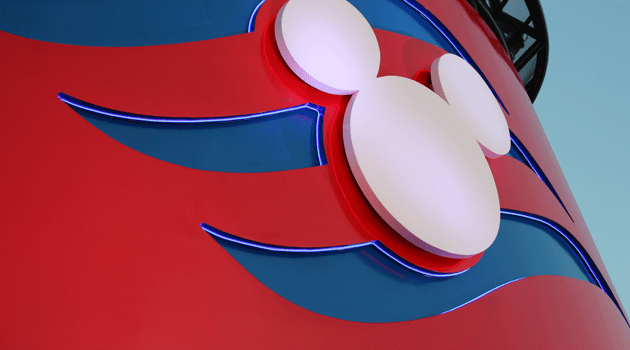 Disney Cruise Q and A!